Starting 1 September, Andrew Sullivan takes on the role as CEO and President of the Internet Society. Selected by the ISOC Board of Trustees, Sullivan looks like an apt bridge builder between the world of internet technology and the world of policymakers. Equipped with experience in developing technology at Dyn, a DNS company recently acquired by Oracle, and a tenure as Chair of the Internet Architecture Board, a peer body of the standards body Internet Engineering Task Force, Sullivan has a degree in philosophy and is no stranger to public sphere theorist Juergen Habermas. After the heavy attack on Dyns DNS network, via low-cost cameras – the so-called Mirai attack – the Canadian warned against knee-jerk attempts for regulation, but acknowledged that technological solutions might need some assistance from policymakers. Answering questions with journalist Monika Ermert in writing from the meeting of the ISOC Board of Trustees in Panama, Sullivan diplomatically underlined that collaboration is key for everything on the internet. In his new position, Sullivan follows Kathy Brown, a former AT&T manager. Intellectual Property Watch (IPW): The Internet Society has grown considerably after becoming the sponsor of .org. What do you think should be its role in internet politics? ANDREW SULLIVAN: At a basic level, of course, the Internet Society is a US-incorporated 501(c)(3) not-for-profit organization and therefore has no direct role in politics as such. But the organization can properly provide the kinds of information and advice to inform and shape political discussions to ensure the adoption of policies that are in the best interests of the internet and everyone who uses it or wishes to use it. IPW: What is its relation with the national chapters and how can you see the relationship evolve? Should ISOC be more bottom-up? SULLIVAN: The Internet Society would not be the organization it is without its chapters and special interest groups. The chapters are fundamental to the Internet Society’s continued success. In my experience, there are important ways that the Internet Society has always been bottom-up, but it isn’t like other organizations in that it does not have a central policymaking role. What is true, however, is that the bonds and connections among the different chapters, all working for the common Internet Society mission and vision, could be made stronger. That is an evolution I hope to foster. IPW: When you look at the internet globally today, what would you say are the three most pressing problems in your opinion? SULLIVAN: First, let’s be clear: the internet has always faced challenges. But during the periods of its enormous growth and expansion, there were so many benefits that flowed from it — benefits still evident today — that some of those challenges were obscured. We can see that some of the earliest decisions in the design of internet protocols are now causing trouble, such as weak authentication and limited language support. So, we need significant evolution in order to achieve an open, globally-connected, secure, and trustworthy Internet. We can see that incentives to protect personal data (or worse, to sell it on [to third parties]) are badly aligned with the interests of people whose data that is. Yet we see, too, attempts to legislate punishments instead of working with all stakeholders. It is positive incentives, not punishments, that work best on the internet. We can see that the economic realities of internet operation produce conditions that create and promote concentration and monopolies. These concentrated services provide great benefits to users, which is why they are successful, but they also erode the strength from diversity that has been a hallmark of internet resilience. IPW: Are these problems ISOC can and should address, and how? SULLIVAN: They are challenges to the internet, and so of course the Internet Society needs to face them. And it needs to do so through multiple paths. One way is the focused efforts that the Internet Society has undertaken – its campaigns. These concentrate on specific things that the Internet Society can do to improve these issues. They are part of the Action Plan, and as progress is made on this year’s plan work has already started on the plan for next year. At the same time, it’s always been part of the Internet Society’s work to provide good advice on internet issues — advice that is in keeping with the design of the open, globally-connected, trustworthy, and secure internet. We can only continue that work and collaboration with others to address these present challenges. IPW: Let’s take concentration of services on one hand and fragmentation of communication on the other hand, are these developments ISOC should and will address? SULLIVAN: Yes, but in the ways above. We are not the managers of the internet, but we also know that nobody can be, by design. IPW: What problems can ISOC not address? Who can? SULLIVAN: The Internet Society cannot address anything at all on its own. The Internet isn’t a thing that we can make this way — it is a phenomenon and comes from the collaboration of all the networks. All we can do is work to make sure that message remains widely understood, so that people do not make the kinds of policy mistakes that could undermine or destroy this marvellous and helpful technology. 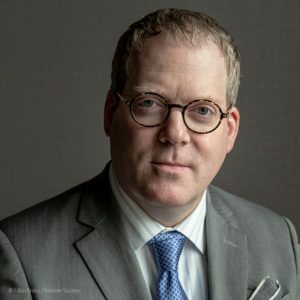 "Helping Understand The Internet Phenomenon: Interview With New ISOC CEO Andrew Sullivan" by Intellectual Property Watch is licensed under a Creative Commons Attribution-NonCommercial-ShareAlike 4.0 International License.